The R25 Research Education Program supports research activities during clinical neuroscience training. Residents may submit an application in October of their senior resident year. Recipients of the grant receive extra flexibility in scheduling research time during residency, and have the option of applying for additional years of research support during Fellowship. Dr. Christancho will be working with Stewart A. Anderson MD, PhD and Eric D. Marsh, MD on a project entitled “Mitochondria, hypoxia, and cortical interneuron development - a putative gene-environment interaction in the pathogenesis of neurodevelopmental disease.” This project seeks to determine the contribution of mitochondrial dysfunction from intrauterine hypoxic injury on interneuron migration. 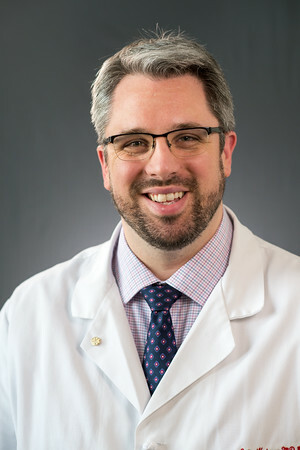 Dr. Kaiser will be working with Geoffrey K. Aguirre MD, PhD on a project entitled “Photoreceptor-specific mechanisms of migraine-associated photophobia.” This project will investigate the selective contribution of cone and melanopsin stimulation to the symptom of photophobia, which is a major source of morbidity in migraine. Dr. Omole will be working with Douglas Smith, MD and Frances Jensen, MD on a project entitled “Progressive neuropathological mechanisms of post traumatic epileptogenesis.” This project will investigate the neuropathological correlates of post traumatic epilepsy in a rat lateral fluid percussion model of traumatic brain injury, and will include EEG monitoring for high frequency oscillations and seizures. Dr. Favilla will be working with John Detre, MD and Dr. Steven Messé, MD on a project entitled “Effects of Intrathoracic Pressure on Cerebral Blood Flow in Stroke.” This project leverages a novel technology for transcranial optical monitoring of cerebral blood flow. Dr. Favilla will use this technology to assess the effects of intrathoracic pressure modulation on CBF and its potential use in acute stroke management.